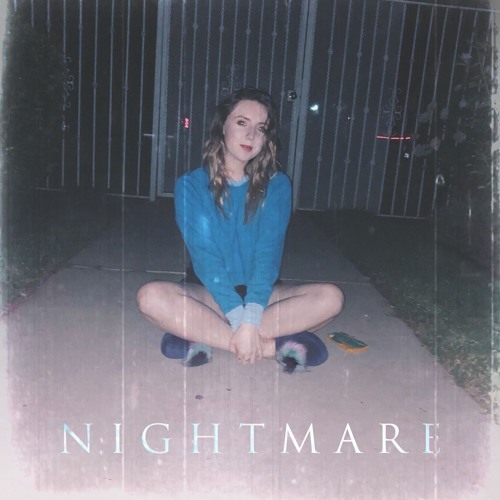 Home / brand new / Brooke Williams / música / Brooke Williams Unveils New Single "Nightmare"
Brooke Williams Unveils New Single "Nightmare"
California-based singer/songwriter Brooke Williams has just unveiled her brand new single Nightmare, out now via snafu records. I am loving her smooth and soulful vocals which are perfectly backed by a groovy electronic production. The catchy chorus stuck to my head in no time and I'm singing along to the song as I write this. If you're into upbeat and playful electro-pop music than you'll lvoe this one. Stream it below! I used to hang out with this guy who always described himself as a ‘nightmare.’ Every time I hung out with him, we’d have the craziest, most unexpected adventures. He was the kind of person who pushed your comfort zone and you’d become addicted to the fun and thrill of it. He was spontaneous and could never make his mind up about a girl, let alone anything else. Over time I realized these were all the reasons he called himself a nightmare. I thought it was an interesting word to describe yourself and it stuck with me, which is what inspired this song. I kept thinking to myself “Damn he really IS a nightmare, but it’s one I want to be in.